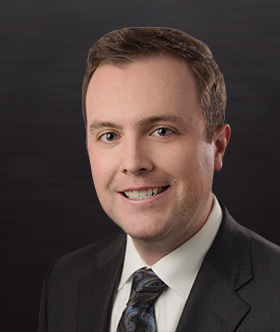 Travis is an associate who focuses his practice on a variety of transactional matters, including estate planning, probate, real estate, and business matters. Travis was born and raised in Lubbock, and graduated with high honors from Texas Tech University in 2010 with a degree in English and Political Science. Travis graduated with high honors from Texas Tech University School of Law in 2013. While in law school, Travis received numerous academic awards and was a member of Texas Tech University School of Law’s chapter of Phi Delta Phi, an international legal honor society, and upon graduation was admitted to the Order of the Coif, an honor society reserved for American law school graduates. Travis is an active member in the Lubbock County Young Lawyer’s Association where he has served as a Director since 2016. Travis is also an active member in the Texas Tech University School of Law American Inn of Court, a society composed of Judges, Attorneys, and Law Professors. Outside of the office, Travis enjoys spending time with his family, hunting, and playing golf.